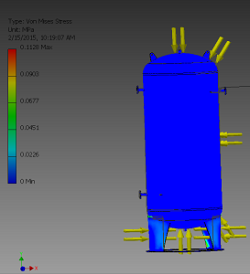 This Pressure fluctuation creates tension that must be considered during Designing of Pressure Vessels, Our pressure vessels are designed for dynamic pressure loading and are designed to last minimum 4 million pressure cycles. 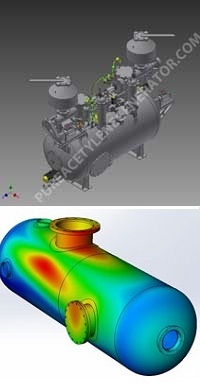 In a Plants one of its Important components is Gas Purifiers, It is filled with layers of different Molecular Sieves, Purifying masses etc, Our engineers have dedicated special attention to the vessel design in order to avoid fluidization of the components during the entire Suction & Discharging process of Gases and under any possible working condition of Plants. 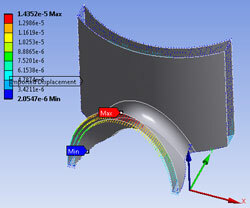 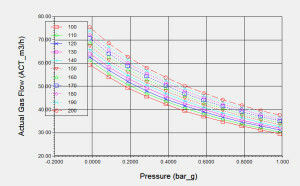 Extensive CFD simulations and running tests have been performed in order to remain distant from the physical Stress & Strain for each vessel size and under all process circumstances.This break-through made it finally possible to develop compact, Highly Safe & Efficient and truly flexible Plants.Our Plants /Generators e don’t use any pressure switches, Analog Manometer Gauges and RTD type temperature sensors due to their error or malfunction after 6 months from an operation and let great risk in the plant, we only use pressure transducers & temperature transducers from Calvino /Sense Germany having guaranteed lifetime of 2 million cycles.